Many of us work long hours and often don’t get home from work until after dark. Why cut yourself off from your yard when daylight ends? An investment in professionally installed, quality outdoor lighting allows you to enjoy your yard at night, illuminating your home’s best features and increases safety and security around your property. 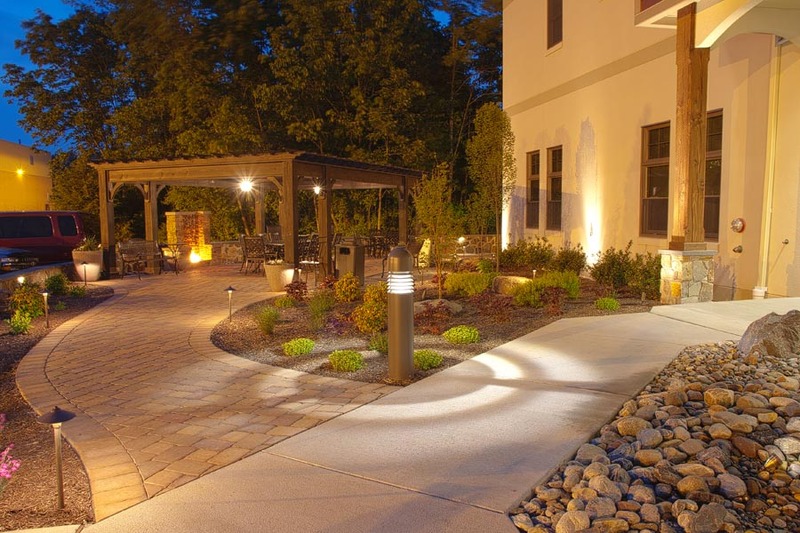 Outdoor lighting is one of the most satisfying purchases our clients have ever made. When properly designed and installed, landscape lighting can completely change the look and feel of your property’s exterior. Whitehouse Landscaping landscape designers can furnish you with a lighting plan to determine the number of lights and types of fixtures that will best compliment your home. Whitehouse Landscaping is an outdoor lighting contractor, serving Limerick, Schwenksville, Glenmoore, Malvern and surrounding areas. We offer complete lighting design and installation for every property and every style. Whether it is landscape lighting, pool lighting, patio lighting, front yard lighting or more, your outdoor lighting will evoke a ‘wow’ from your neighbors and friends. Contact Whitehouse Landscaping to install a custom landscape lighting package to enhance your Chester and Montgomery County home and landscape.